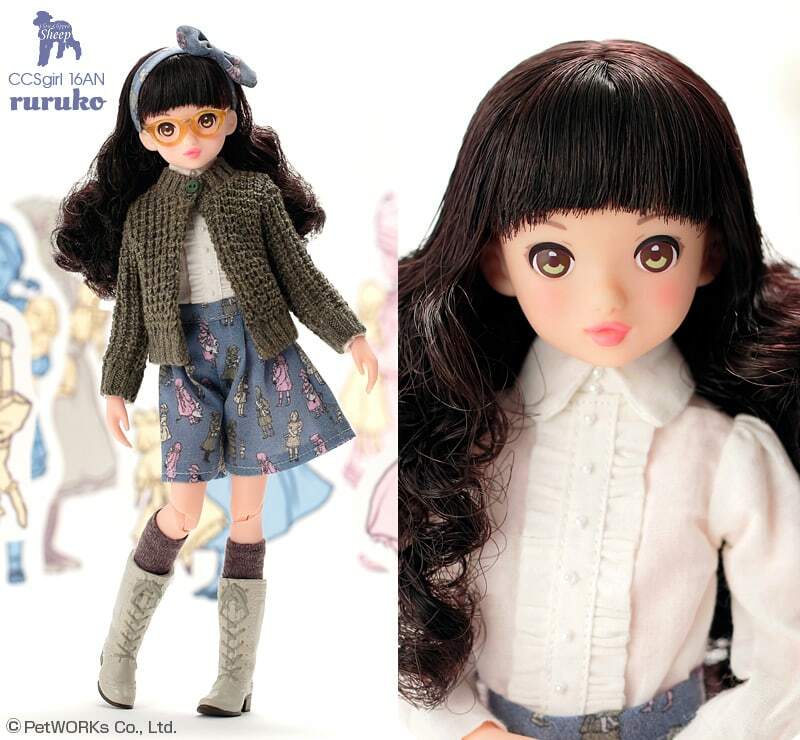 PetWORKs wants you to join them, along with their latest announced Ruruko, CCSgirl 16AN ruruko, in celebrating Momoko's 15th Anniversary. Her release date is August 2016. Ruruko has soft black curls and she's dressed in a unique head to toe outfit. Her culottes have a one of a kind print. The design is actually an original print of a young Victorian girls with their dolls. Ruruko also comes with a pair of round glasses. It seems as if glasses are quite popular and trending for our 2016 dolls. Coming your way September 2016 is CCSgirl 16AN ruruko Honey. She's a variation to CCSgirl 16AN ruruko. You can purchase Honey from PetWORKs. 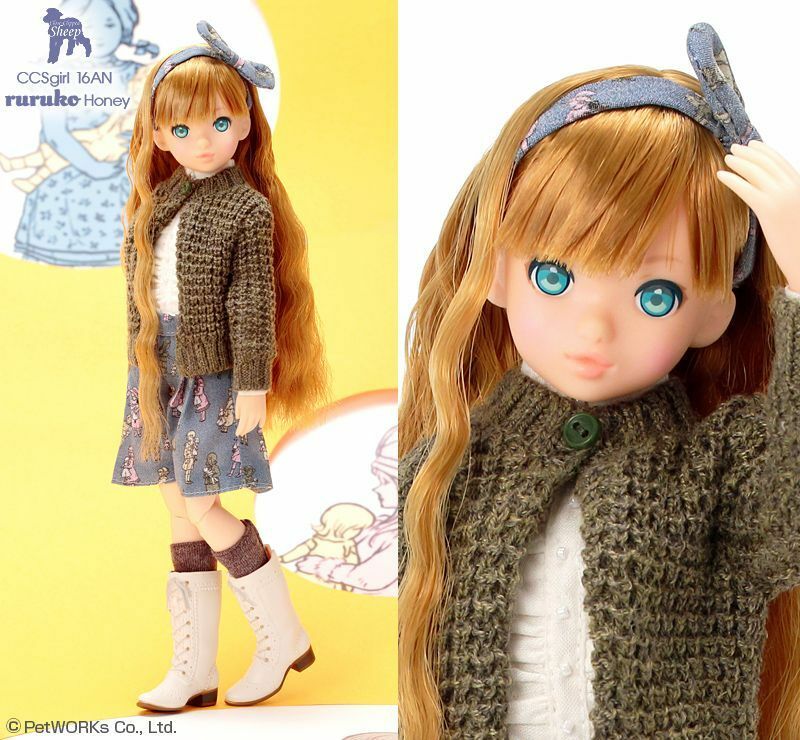 CCSgirl 16AN ruruko Honey will also be available to purchase from your favorite doll shop. 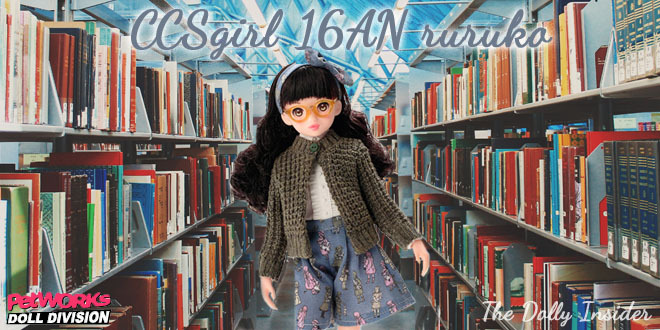 Will you join PetWORKs and CCSgirl 16AN ruruko in the 15th Anniversary celebration? What do you like the most about CCSgirl 16AN ruruko? What do you wish PetWORKs would have done differently? How is the Yen to your currency: going up, down, or stable? I can't wait to chat with you about Ruruko.